These wonderful metal buckets make the perfect centerpiece for a wedding reception. Fill them with ice and bottled drinks, flowers, or other decorations. Your guests are sure to love them! We also offer small Party Favor Pails to add to your display. 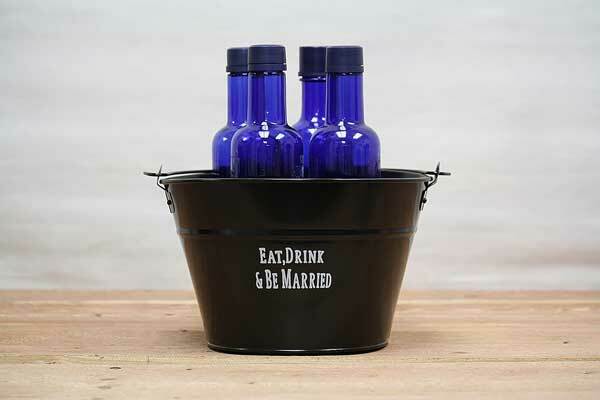 See our complete line of wedding buckets and colored pails. Note: These buckets are not guaranteed to be watertight. To ensure watertight a bucket we recommend sealing the interior with a clear calk and allowing to dry before use.